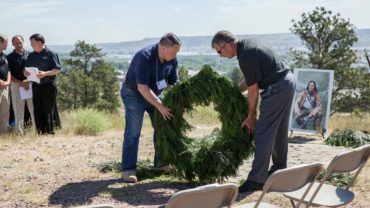 When Luther Sage “Yellowstone” Kelly met Col. Nelson Miles for the first time, neither man had any idea that it would mark the birth of a life-long friendship. The twenty-seven-year-old Kelly, free spirit of the Trans-Missouri River frontier, had wended his way down from the Judith Basin–probably his favorite spot in all of Montana– to offer his services to Miles, whose 5th U.S. Infantry was then in bivouac along the Yellowstone, near that river’s confluence with the Tongue River. Times were tense along the Yellowstone that fateful summer of 1876, when news of the Custer debacle along the Greasy Grass hung like a pall over the region. 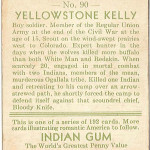 By way of a calling card, Kelly presented Miles with the forepaw of a large Cinnamon Bear–a color phase of the American Black Bear–he had killed en route to his meeting with the tall, handsome colonel of the 5th Infantry. 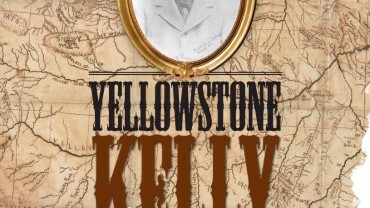 We will never know exactly what the two men discussed during the course of their initial meeting, but Kelly’s knowledge of the region, coupled with his high verbal skills and wry sense of humor impressed Miles enough to appoint Kelly Chief Scout for the newly created District of the Yellowstone. Likewise, we will never understand what it was that attracted one man to the other, particularly since their respective personalities were so dissimilar. Well read and with a better than average education for that time, Luther Kelly was quiet and self-effacing, and although a man who enjoyed stimulating conversation he was not much given to idle banter. He was as well, forthright, determined, and brave, indeed, bordering at times, on reckless. In marked contrast, Nelson Appleton Miles was vain, ambitious to a fault, and always hungering for advancement. Although without formal military training, Miles proved a natural born soldier. Appointed a lieutenant of Massachusetts volunteers in the Civil War he had risen to become major general of volunteers by the war’s end. Appointed colonel in the regular army after the war, he went on to become one of the Army’s premier Indian fighting leaders and in 1895 was named General of the Army. 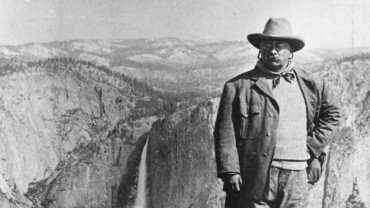 In Luther Kelly, Miles saw something more than a raw frontiersman. Kelly’s wide-ranging knowledge of history, literature, and poetry were not difficult to appreciate. But on a practical level, Kelly’s knowledge of the land and the Indians were essential to Miles’s military operations. But the Kelly-Miles relationship went beyond that. The two men enjoyed each other’s company, and although it would be a stretch to call them best friends their relationship was more than simply professional. Indeed, one of Miles’s biographers claimed that Kelly was one of the few men Miles could relax with. For his part, Kelly admired the way Miles dealt with Indians and conducted operations. In Nelson Miles, Luther Kelly saw the consummate soldier. As a consequence, by the time he reached his middle years, Kelly found the military life an inviting career path, and quite likely it had been his relationship with Miles and other soldiers that influenced that thinking. Kelly’s attitude here represents an interesting change. 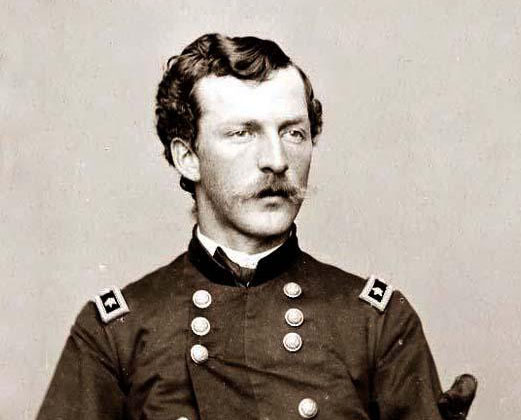 At the end of his first enlistment back in 1868 Kelly had concluded that while military life was a fine experience for a young man, one terms was sufficient unless a man wanted to make soldiering a profession.. In any event, and unfortunately for Kelly, by the time he realized where his calling lay, War Department regulations regarding age made a career change impossible.